Adobong Atay at Balunbalunan ng Manok, Chicken Gizzard and Liver Adobo. Almost every parts of chicken are edible to Most Pinoy. the chicken gizzard and liver, including the hearth are the more popular for the reason that these are used as ingredients to a lot of Pinoy noodle dish and or vegetable dish compared to the other chicken parts, like chicken feet, tail, intestine ect. 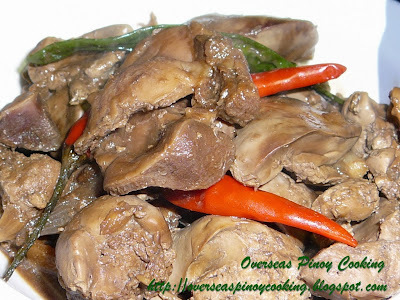 One of the best way to cook chicken gizzard and liver is dry and spicy adobo. 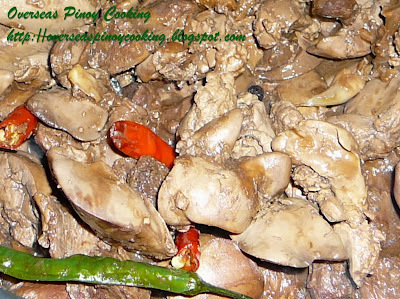 Adobong Atay at Balunbalunan ng Manok, Chicken Gizzard and Liver Adobo is also a favorite pulutan, best served sizzling in a hot plate. Chicken gizzard and liver are readily available i most supermarkets. Cut in to halves and remove hard inner lining of chicken gizzard, cut chicken liver into serving pieces. Wash thoroughly, drain and keep aside. In a medium size sauce pan first put in the chicken gizzard, pour in 5 to 6 cups of water then add in the vinegar, soy sauce, garlic, onion, ginger, peppercorns and bay leaf bring to a boil and simmer in medium heat for 30 to 45 minutes or until the chicken gizzard are tender. Add in the chicken liver and chili, cook for another 5 to 10 minutes or until the liquid turns to an oily sauce, correct saltiness if required. Serve with a lot of rice. 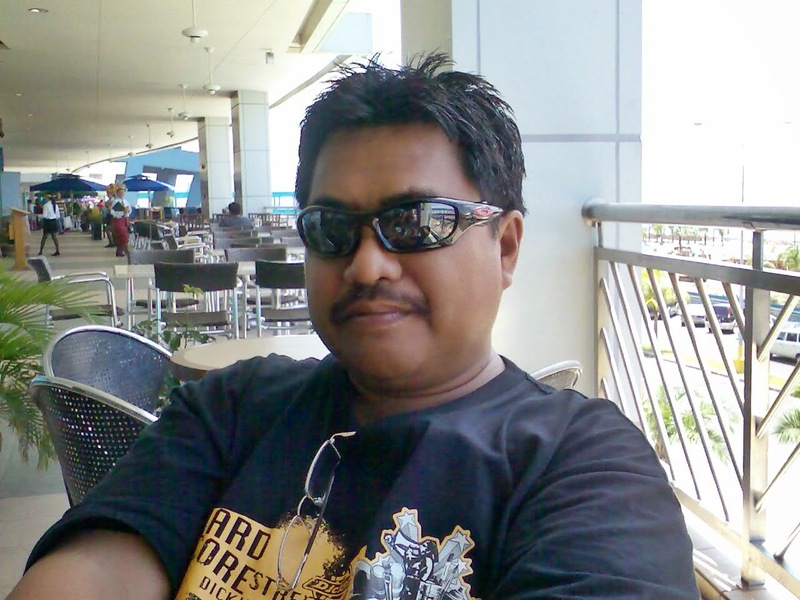 See other related adobo recipe. fry first garlic, onion and ginger. stir occasionally for 5 mins. add vinegar and soy sauce with constant stirring. let simmer for 15mins or until gizzard is tender. add liver, simmer for another 5mins. There are many ways to cook adobo, thanks for sharing your version. you need to wait until the vinegar is cooked before you stir your adobo. 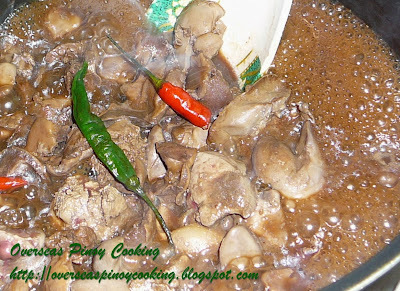 one mortal sin in cooking adobo is if you let " mahilaw yung suka". I like the comment..the garlic and union must be fry first..
i tried this and my adobo was like stew! goodness... 5 cups of water is too much! To Anonymous, I doubt it if you really tried to cook the dish the instructions are clear.